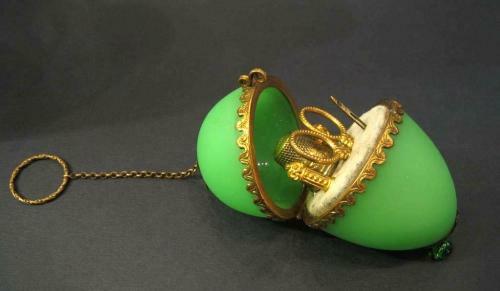 Pretty French 19th Century Apple Green Opaline Glass Etui. This Lovely Chatelaine has the Original 5 Piece Sewing Set. All in Good Condition and All Sewing Pieces Present. A Real Treasure Originally from the Palais Royal Shops in Paris.